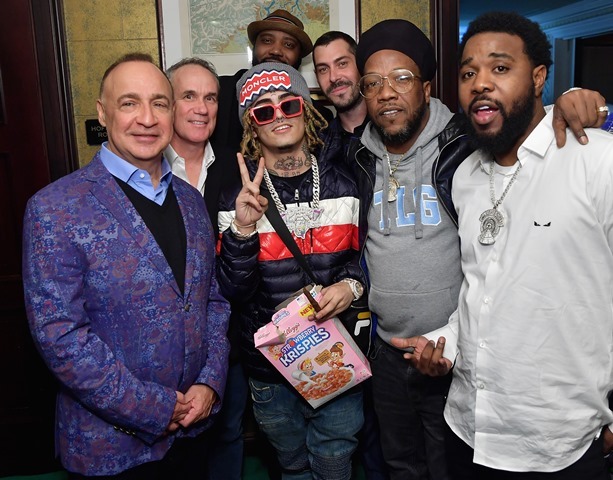 At WMG's intimate but star-studded downtown pre-Grammy throwdown, Recorded Music boss Max Lousada joined Warner Bros. Co-Chairmen Aaron Bay-Schuck and Tom Corson in hailing Best New Artist nominee Dua Lipa, whose "New Rules" is a helpful guide to Grammy-week schmoozing. The party, at the Nomad Hotel, was also an opportunity to celebrate the company's first-ever billion-dollar quarter for recorded music, as well as a bevy of high-profile nominations. 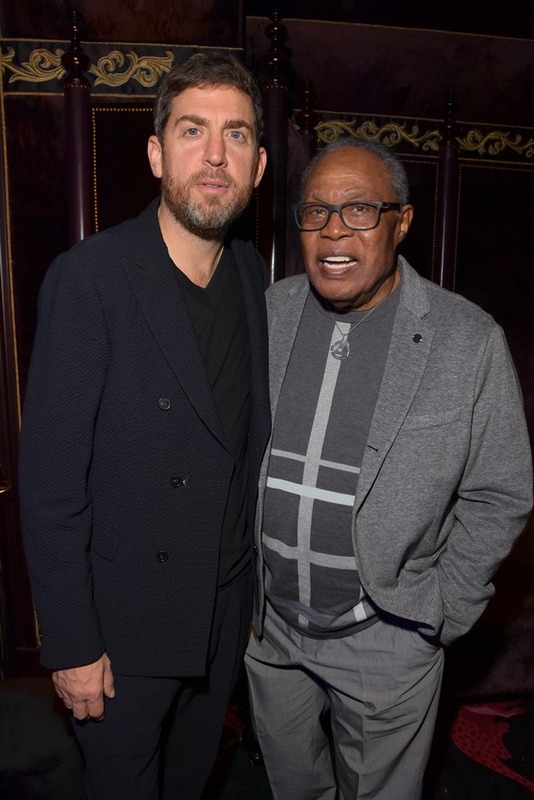 Attendees also included new Warner/Chappell ruling duo Guy Moot and Carianne Marshall, Stu Bergen, Grammy nominee Brandi Carlile, songwriter supreme Justin Tranter, legendary Elektra founder Jac Holzman and many more, some of whom are pictured below. Max and ABS pose with another BNA contender, the formidable artist-songwriter Bebe Rexha. In an unrelated story, rumors that WMG is setting up an A&R office in Albania couldn't be confirmed at presstime. 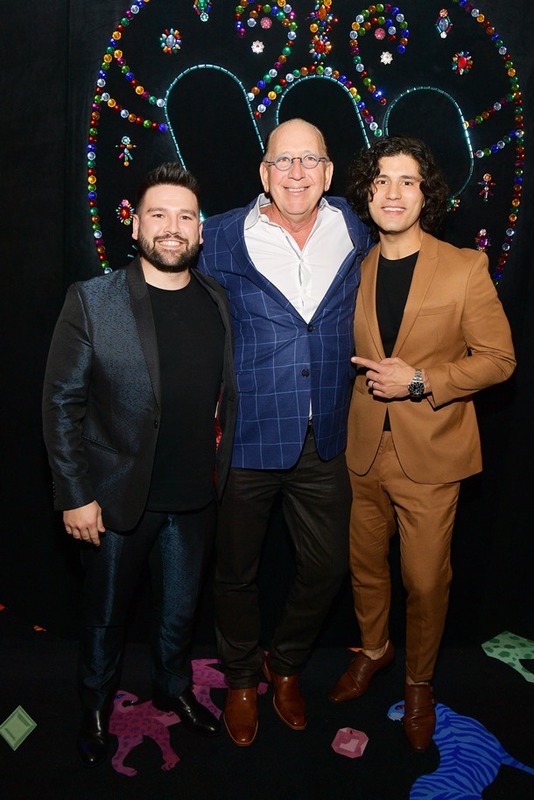 Warner Music Nashville ruler Espo beams with Grammy nominees Dan + Shay shortly before busting out company-branded Tequila Helmets for all. By the way, text "voteEspo" to 39492. Max joins soul-music legend Sam Moore, who recalls that if Wilson Pickett got pissed off at you, it wasn't any Twitter beef.